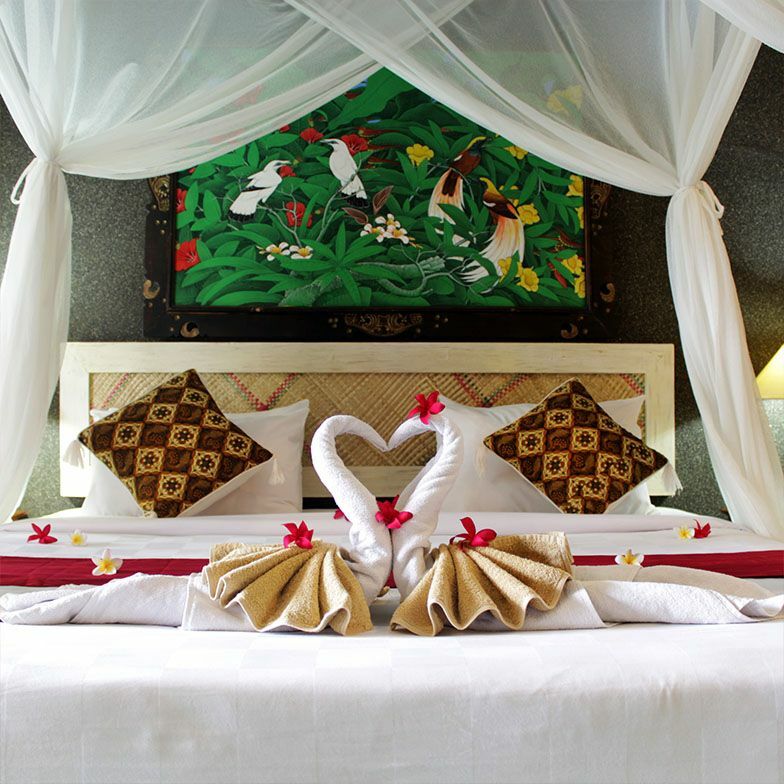 Kubuku Means “little home”, we do hope our little home can be home for every one who wish to spend time in Bali. We do believe, guests are our extended family who live away from us, and that is why guest will be treat as one whenever they visit us. 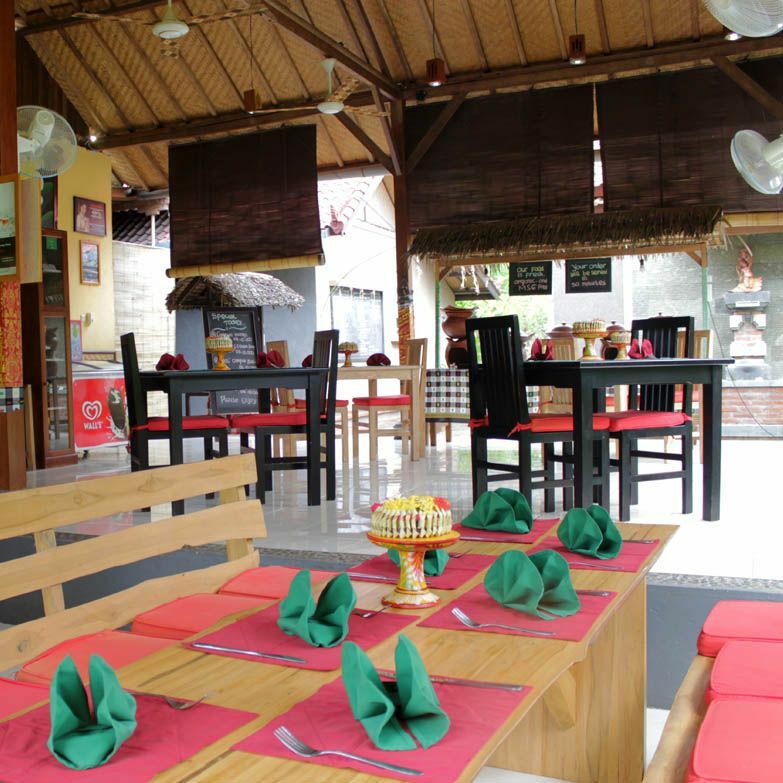 Enjoy the Peaceful atmosphere, and our local culture. Tea time with Balinese sweet cake at 5Pm – 6Pm, because most of Balinese peoples at this time are chilling out with family after long day work at field, while their wife and kids prepare their offering in the yard. We have 14 beautiful rooms suited to meet different budgets. They all are situated among the mango, banana, lemon, papaya, and guava trees with mountain and garden views. Eco Green… We do produce own organic fruits such as Pineapples, Papaya, Mango and lime and some of Vegetables, which supply only 30% and the rest we took it from Local Market around the village. Eco Sustainable Tourism We do care with community, educate children to learn Balinese Dance, English and computer. (we allocated 25%of Profit) Kids between 12 YO to 15 YO coming every afternoon at 5 to 6pm, they make offering and more than happy to show how to make it to every one who interested in it, which in turns benefits the kids in practicing their English. Teenagers between 16 YO to 19 YO, we give them life skill as Receptionist, Cook, Waiters and tour guide. of course they earn money to continue their education. Employees, 100 % comes from the same village of the hotel, and half of them originally not skilled to work in tourism. Kubuku invited chef, teachers and tutors to Teach and train them to make them feel confident.